1 England and Wales, Death Index, 1916-2007, Death record for Rosalind Cecilia C Bingham, Ancestry.com (Online Database). 2 England and Wales, FreeBMD Birth Index, 1837-1915, Birth record for Rosalind Cecilia C Bingham, Ancestry.com (Online Database). 3 England and Wales, FreeBMD Marriage Index, 1837-1915, Marriage record for James Albert E Hamilton and Rosalind Cecilia C Bingham, Ancestry.com (Online Database). 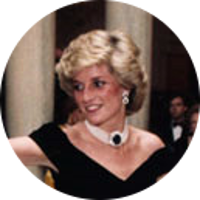 5 Evans, Richard K., The Ancestry of Diana, Princess of Wales , Boston: New England Historic Genealogical Society (2007), 9. 7 Wikipedia, "Rosalind Hamilton, Duchess of Abercorn", (accessed 12/27/2012).